How Well Does Windows 10 Work on a Tiny Tablet? It’s finally here. Windows 10 has landed, and so far it’s been an impressive launch. In just a few hours, almost 18 million computers had it installed. Three days after the launch date, that number had skyrocketed to 67 million. I imagine the majority of upgrades were on traditional desktop and laptop units. But also, a great many would have been on keyboard-less, tablet computers; a market that has traditionally been dominated by the likes of Apple and Google. So, how does the latest edition of Microsoft’s operating system (OS) compare? Does it have any hope of unseating the incumbents? I wanted to find out and installed Windows 10 on a 7 inch HP Stream tablet. But before we get to that, let’s revisit the journey Microsoft has taken over the past five years when it comes to the tablet market. This history is vital to understanding the design decisions made in the making of Windows 10. Cast your mind back to the 27th of January, 2010. Apple announces the iPad. To say that Microsoft was caught off guard would be a massive understatement. Apple had just released perhaps the ultimate tech product. It was desirable. Beautifully designed. Different. The iPad was versatile, with consumer and corporate applications aplenty. Above all, it came with a healthy mark-up for Apple. In the first year alone, Apple sold an incredible 4.7 million units. The iPad was a success because it was building upon iOS, which was already a mature mobile OS. Microsoft, on the other hand, was yet to release Windows Phone 7, and Windows Mobile had just been consigned to the digital scrap-heap. 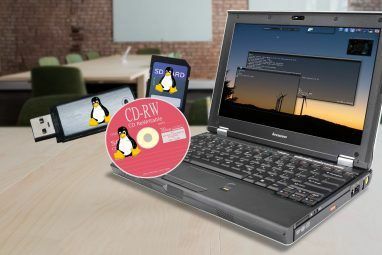 Microsoft received another shock to the system when Google launched its Linux-based Chromebook laptops. Not only did this offer a great desktop experience on low specification computers, but it also did so at a price that severely undercut Microsoft’s core market. Thus you can see Microsoft’s dilemma. They had to, in effect, build an operating system that could compete with the iPad, but also entice back the millions who had fled to Chrome OS, while working well on low-powered systems. They had to find a compromise between touch and trackpad. The end result was Windows 8. It wasn’t, by any means, a disaster of Vista-style proportions. But it wasn’t great either. Tablet users were frustrated by the blurred lines and inconsistencies between the Modern interface (then known as Metro) and the old-school Desktop experience. Many felt it wasn’t properly optimized for touch inputs. Desktop users were similarly frustrated with the fact that Metro felt more like a tablet OS than what they were used to, with some choosing to disable the modern interface entirely How To Quickly & Easily Disable The Metro User Interface In Windows 8 How To Quickly & Easily Disable The Metro User Interface In Windows 8 One of the most striking things about Windows 8 – beyond the Metro user interface – is the lack of a traditional Start menu in favour of tiles. However with a desktop view available for... Read More . Moreover, tablet users were embittered they bought something that could never match Why A Windows 8 Tablet Cannot Completely Replace A PC Why A Windows 8 Tablet Cannot Completely Replace A PC A Windows 8 tablet can theoretically replace your beefy desktop computer, cut your electricity bill, and let you work from anywhere; except that it can't. Hear the pros and cons from someone who tried it. Read More the functionality of desktop Windows. 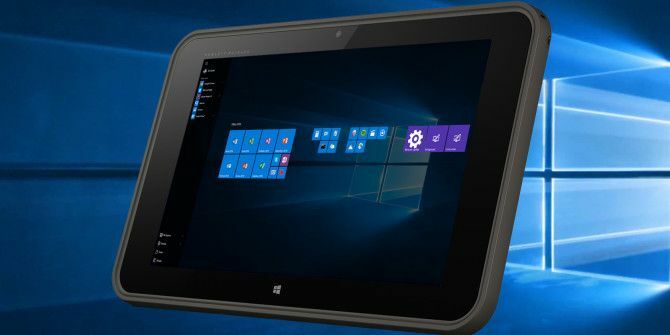 Microsoft had tried to find the happy medium between a tablet OS and a desktop OS, and ultimately ended with one mediocre, confused product that satisfied neither. Users en-masse downgraded their Windows 8 installs to Windows 7 It's Not Easy, But You Can Uninstall Windows 8 And Revert To Your Old OS It's Not Easy, But You Can Uninstall Windows 8 And Revert To Your Old OS If you’ve installed Windows 8 and found yourself wishing that you could go back to Windows 7 or another operating system, there’s a way to do this. If you installed Windows 8 in a dual-boot... Read More . It wasn’t a great moment in Microsoft’s history. But it seems like they’ve since learned their lessons, and Windows 10 unites all the hard lessons learned, filled with informed design decisions and a delight to use on any system you’d care to name. But in particular, it’s an especially good tablet OS. The dark part of Microsoft’s history that was Windows 8 is precisely that. History. Windows 10 moves onward, by focusing on providing a brilliant user experience, even on the smallest and weediest of tablets. Here’s the how and why. I was pretty late to the Windows 10 game. It was well after the 29th when I finally summoned the courage to request my upgrade. Then I waited, and waited. Eventually, I got tired of waiting and decided to cut the queue by using the Windows Media Upgrade Tool Make Today Your Launch Day: Get Windows 10 Now! Make Today Your Launch Day: Get Windows 10 Now! You're eager to install Windows 10. Unfortunately, you missed the Insider Preview and now it's taking a while until the upgrade will be rolled out to you. Here's how to get Windows 10 now! Read More . Eventually my tablet restarted, and started the install process. I’d heard some horror stories of computers getting irrevocably stuck, and of corrupted installs. But mine was short, smooth, and easy. It just worked and I was ready to road test Windows 10. As I’ve previously alluded to, Windows 8 came with some questionable design choices. The biggest, in my mind, was the way touch-oriented user interface elements clashed with traditional Windows fare. Take, for example, the desktop system tray. On a tablet, in particular, a small tablet like the HP Stream 7, this is all but unusable without a Bluetooth mouse attached. As was the File Explorer. Meanwhile, the modern interface was smooth and sleek, and delightfully touch friendly. And like we mentioned before, this ultimately resulted in a product that satisfied neither camp. Thankfully, Windows 10 makes no such compromise. Everything is designed to be finger-friendly, while remaining conducive to desktop use. The end result is gorgeous. To accomplish this, Microsoft made some pretty daring design decisions. Menus and settings are hidden far, far away. Icons are larger, and they’re organized in a way that’s conducive to tactile interaction. Just look at the astoundingly impressive, and radically overhauled Start Menu A Guide to the Windows 10 Start Menu A Guide to the Windows 10 Start Menu Windows 10 fixes the Start Menu dilemma! Getting to grips with the new Start Menu will supercharge your Windows 10 experience. With this handy guide, you'll be an expert in no time. Read More . I’m particularly fond of the Action Center, which not only shows you notifications, but also gives you easy, touch-friendly access to most of the settings you’d likely need. Here, like everywhere else, buttons are big and pressable. Gestures seem better thought out on Windows 10, and much more intuitive. The decision to get rid of the loathed screen hotspots was, in my opinion, a very brave and sensible one. Virtual keyboards, by their very nature, will never manage to be as good as a physical keyboard. It’s just how it is. There’s just no easy way to replicate the tactile-sensations associated with the real thing. They’re not as accurate, or as satisfying. They’re much more fatiguing, and harder to use over long periods. But with the right virtual keyboard, you can have a halfway-decent typing experience. The iOS keyboard is considered to be particularly well designed. On the Android side of the fence, SwiftKey has received a great deal of acclaim Enjoy A Better Typing Experience With SwiftKey 3 [Android] Enjoy A Better Typing Experience With SwiftKey 3 [Android] We type a lot on our mobile devices. We constantly text people, browse the web, type up documents, and so much more. Therefore, keyboards have become one of the most important apps on your device,... Read More . Not much was said about the Windows 8 virtual keyboard, however. Don’t get me wrong. It wasn’t too bad, but it wasn’t great either. On the plus-side, its keys were well spaced and sufficiently easy to press, even on smaller tablets like the HP Stream 7 I use. But it had some pretty major drawbacks. The Windows 8 virtual keyboard How To Best Use Or Disable The Windows 8 Touch Keyboard How To Best Use Or Disable The Windows 8 Touch Keyboard Typing on a touchscreen is much easier if you know all the tricks! If you frequently type on your Windows 8 tablet, consider upgrading to Windows 8.1! It comes with many improved features as this... Read More used space inefficiently, and it was irritating to type punctuation, numbers, and special characters, as you would have to leave the QWERTY bit of the keyboard. These, for the most side, have been resolved in the latest version of Windows. The on-screen keyboard features smaller, better shaped buttons, and a more efficient usage of space. Unlike the earlier attempt, this features an broader array of special characters on the main keyboard. Switching to the secondary keyboard shows the remaining special characters, and a 3×3 number pad. This efficient use of screen space makes it ideal for smaller displays, like that found on bargain-basement Windows tablets. As an added bonus, Windows 10’s virtual keyboard can be detached and pushed around the screen, allowing you to more efficiently use the limited screen real estate you have. Although, as some have pointed out, the lack of any function keys is a glaring omission. @matthewhughes It needs some way to access function keys, escape, delete, et cetera. Right now you have to use the "old" onscreen keyboard. Over the past 10 years, Microsoft’s fortunes in the web browser market have faded. Internet Explorer (IE), once having had a near-monopoly, has faced some stiff challenges first from Firefox, and then from Google’s Chrome. The slide of Internet Explorer seemed unstoppable, as Google, Safari, and Firefox took more and more of its diminishing market share. But then Edge came along How to Set Up Microsoft Edge, the Default Browser in Windows 10 How to Set Up Microsoft Edge, the Default Browser in Windows 10 Microsoft's new Internet browser Edge made its first appearance in Windows 10 Insider Preview. It's still rough around the edges, but sleek and fast. 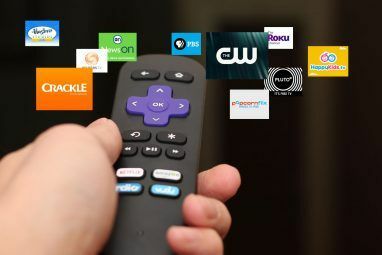 We show you how to migrate and set it up. Read More . Internet Explorer’s successor, it feels, is a completely different beast. It looks great, and feels even better. It comes with a brand new rendering agent How Do Browsers Display Web Pages, and Why Don't They Ever Look the Same? How Do Browsers Display Web Pages, and Why Don't They Ever Look the Same? 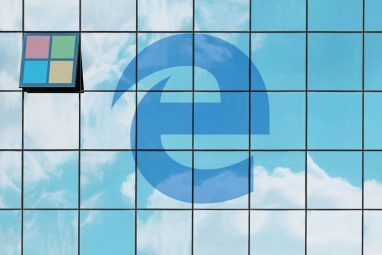 Read More – EdgeHTML – which focuses on standards and interoperability, and excises much of the legacy fluff that bogged down Internet Explorer. As a totally unrelated point, the decision to rebrand Internet Explorer as Microsoft Edge was a brilliant one. IE came with a lot of stigma. IE was the browser your parents used. Edge allows Microsoft to break from the past, and start from scratch again. For what it’s worth, Microsoft realized IE had an image problem a long time ago. In 2012, they released a surprisingly self-aware commercial that satirized its deeply unfashionable image, and went viral. Edge is an incredible leap forwards for Microsoft. But it really shines when ran on a low-powered, cheap tablet, where the limits of the machine become obvious on other browsers. In terms of performance, I found nothing to fault it. It handled HD web video just as well as it did Reddit and MakeUseOf. I could have multiple tabs open concurrently, without observing any noticeable slow-down. Similarly, Edge feels perfectly designed for the touch experience. Someone clearly has painstakingly taken the time to make sure it works well on touchscreens of a diminutive size. Its well-placed buttons, flat design, and sleek rendering agent is something to behold. Microsoft Edge, disappointingly, has some missing features. Perhaps the most frustrating was the lack of WebRTC, the technology that powers many real-time web applications. This meant that sites like Appear.in (which we’ve previously reviewed Move Over Google Plus Hangouts. Appear.in Is Here & It's Really Good Move Over Google Plus Hangouts. Appear.in Is Here & It's Really Good People have been crying out for a decent video conferencing app for ages. We thought that was Google Plus. We were wrong. Meet Appear.in. Read More ) don’t work. I’m impressed by Windows 10. For the first time ever, Microsoft has built a Windows that’s truly beautiful, and a delight to use. It feels like they’ve finally started listening to their designers, and it’s paid off. It’s sleek, and stylish, and looks amazing. More importantly, they’ve done the impossible and built an OS that looks just as great on the desktop as it does on a tablet. From the perspective of someone who uses Windows exclusively on a cheap, 7 inch tablet, there are a few standout features that are really worth discussing. The most obvious is Cortana How Cortana Became The "Other Woman" In My Life How Cortana Became The "Other Woman" In My Life She appeared one day and changed my life. She knows exactly what I need and has a wicked sense of humour. It's little wonder that I've fallen for the charms of Cortana. Read More . Cortana’s arrival on the desktop Cortana Arrives on the Desktop & Here's What She Can Do for You Cortana Arrives on the Desktop & Here's What She Can Do for You Is Microsoft's intelligent digital assistant as competent on the Windows 10 desktop as she is on Windows Phone? Cortana has a lot of expectation on her shoulders. Let's see how she holds up. Read More is welcome indeed. The ability to control parts of the system, search the Internet, and dictate messages is incredibly useful. Voice commands are almost always quicker than typing the same thing out. Although it’s worth noting that during my testing, Cortana frequently returned strange results, like when I asked it what time it was in Adelaide, only to be told the time in Rome, Italy. Another quirk of Windows 10 I’m yet to get my head around is the decision to include Candy Crush Saga. It is, by all accounts, an exemplar of the controversial micropayment model that many feel is ruining gaming. Either way, it’s hardly what you’d expect to ship with the biggest software product of the year. I was, at first, quite skeptical. I’m not a big fan of King and Zynga. But then I got off my high horse, and found it to actually be surprisingly fun. More enjoyable than playing FreeCell, certainly. As you might expect, Candy Crush Saga worked nicely on my underpowered HP Stream 7. But that’s because it’s a direct port from the iOS version of the app, built using Project Islandwood, which we covered here Microsoft Loves Apple – These Mac and iOS Apps Prove it Microsoft Loves Apple – These Mac and iOS Apps Prove it Stuffy, boring, insular. These are three adjectives that have been used to describe the Microsoft of yesteryear. But that Microsoft is gone. They've changed. Radically. Read More . It scaled perfectly fine for my diminutive 7 inch touch screen, and chugged along contentedly, despite its underpowered innards. Finally, there’s Edge. Edge is, like I said, a phenomenal browser. But perhaps the best hidden feature I’ve found, and one that lends itself favorably to the tablet form factor, is the ability to save web pages to OneNote Save Your Web Favorites As Notes With OneNote Clipper For Chrome Save Your Web Favorites As Notes With OneNote Clipper For Chrome Microsoft has released OneNote Clipper for Chrome. OneNote Clipper easily allows you to save anything from the Web to OneNote with a click. Save your web favorites easily. Read More , and annotate them. Once you’ve saved your page, it’s just a matter of drawing, circling and writing with your finger, to your heart’s content. For the longest time, Microsoft has been treading water. They’ve seen the rise of Apple and Google, and the introduction of new form factors and genres of computer, and had literally no idea what to do. To recapture the public imagination, it needed something different. Something daring, but above all, with the same level of polish and finesse we’ve came to expect from the Apple camp. Windows 10 is that something. Above all, Microsoft has finally built something that excels on small, touch-oriented devices. Something that could, potentially, bring a much-needed third player to the tablet race. Something that might eventually rival the iPad. What do you think? Is it Microsoft’s time to shine? Should Tim Cook be nervous? Let me know in the comments below. Explore more about: Keyboard, Touch Typing, Windows 10, Windows Tablet. Good article about Windows 10 on a small tablet, however what were u smokin when u compared internet explorer to edge?? IE metro in Windows 8 is the king when using on a small device, best for screen real estate, best for gestures? Did u not use it on your stream? I am hating (maybe to strong a word - seriously disliking) edge as the browser, it's a definite step backwards from IE metro in the context of a small tablet. Are we using then same os? im leaving the terrible spelling and editign to illuxtrate windowsn10 failure. edge is light on ram usage. fast. true. appreciaten taht. as for being tablet friendly NO. onscren keyboard is unmitigated disaster cimpared to ios and android. no swype. very limited auro correct. have to constantly switch to desktop mode to activate the keyboatdn because only microsoft products support the onscreen tablet mode keyboard. best tablet browser? DOESNT exist. chrome comes close with the abilitynto swipe pages left and right go go back, but its gui doesnt work well on a tablet and it doesnt support tablet mode at all. all in all an extremely mediocre tabletm os. greatn desktop os but that wont allow it to compets with ios or even the fairly mediocre android. please ,icrosoft, do better. apple needs more than andtoid nipping at its heelz and with windows 10 tablet mode youre not even nipping atnthe heels of apple circa 2008.
once upon a time ypu did extremelynwell by copying mac operating system with windows 95. DO IT AGAIN! I still think Windows 8.1/7 is still good for 2 in 1 Tablet PC's. Window's 10 still has bugs and compatibility issues with software. True! It's still very new though. Later patches, upgrades, updates and service packs will make it a much better OS. Much like Windows Vista, right? None of the previous abilities to use a desktop or run .exe programs changes on the HP Stream 7, does it? Upgrades? No. But I think newly bought < 8" tablets will lack that ability, yes. I got a Chrome extension that forces Cortana to use Google instead of Bing, so that's one annoyance fixed. Do I think Win10 is better than Win8.1? No. But I'll keep it. Maybe it'll grow on me. Maybe. I don't think you've got a choice, either. Microsoft has intentionally made it really difficult to downgrade. I find myself using Tablet mode on Surface Pros, but 10 never seems to do the right thing with regard to input selection. Sometimes it will decide to show me the handwriting input instead of the QWERTY keyboard, and 10 in general is really, really good at covering up the portion of the screen where I want to type with whatever on-screen input I select. This is someplace where Android does a better job. I do like the Tablet mode interface. I think it's a better overall design than the old start screen, even though I still spend 95% of my time on tablets in one or other desktop programs. 10 also seems to make my tablet form factor devices run hotter. I've noticed that on both Surface Pros (all three model years) and my little Dell Venue. To be fair, I can't comment on that. My HP Stream 7 has always (always) been extremely hot to touch. I think it's the first Windows tablet to ship with third degree burns included. First, the problem Windows had was not with tablets, even small tablets (my OQO 2 had a 5" screen) but with touch. Since WinXP, Windows was built for tablets with an active digitizer (mostly Wacom) which allowed mouse-like accuracy with your stylus. It even worked okay with resistive screens/styli (like some netbooks) but capacitive touch was just too inexact for the UI. Hence, Win8. Second, as far as keyboards, you can enable the "standard keyboard" in PC settings. It looks like a traditional desktop keyboard with a number row, shift for special characters, arrow keys, function keys, even Ctrl-Alt-Del keys for the three finger salute. And, best of all, no emojis. There's also the "on screen keyboard" (OSK) which can be found in assistive technologies and pinned to your taskbar. I think we're effectively saying the exact same thing. I'm not making the argument that Windows was unable to use touchscreen technology, because that'd be ridiculous and untrue. My old high school used Windows XP tablets in the early 00s, for example. I'm saying it was unable to use it effectively. The UI considerations that make iOS and Android great for touch simply weren't there in XP, Vista and 7. They were barely even there in Windows 8. Why don't you use tablet mode? It would make everything easier. But the photos had a start menu... unless those tweets were photos of a PC. Upgraded < 7" tablets get to keep the start menu, and can even access it from tablet mode. It's confusing, I know. I installed Win10 on the same tablet about a week ago. My experience is similar to yours, with a few exceptions. Cortana is pretty flamin' useless. It keeps sending me to pages full of irrelevant information from Bing, a search engine I never willingly use otherwise. The Kindle app sorta-kinda works. It opens full screen, and finding the controls was a matter of trial and error (you have to swipe down from the top). That said, however, the readable area of the screen is larger and much more crisp than the screen on my 7" Android tablet. I use a stylus (mainly to keep from fingerprinting the screen) and sometimes it works and sometimes it doesn't. I have to press fairly hard on the virtual keyboard to get the letters I want. I'll keep Win10 on the tablet, but it's gonna take me a while to get used to it. Cortana is very much a mixed bag. But I recently got a Lumia 640XL, and it's awesome there. I think it's just a quirk of Windows 10. Here's the $1,000,000 question though. Do you think Windows 10 is better than Windows 8.1 on your Stream?